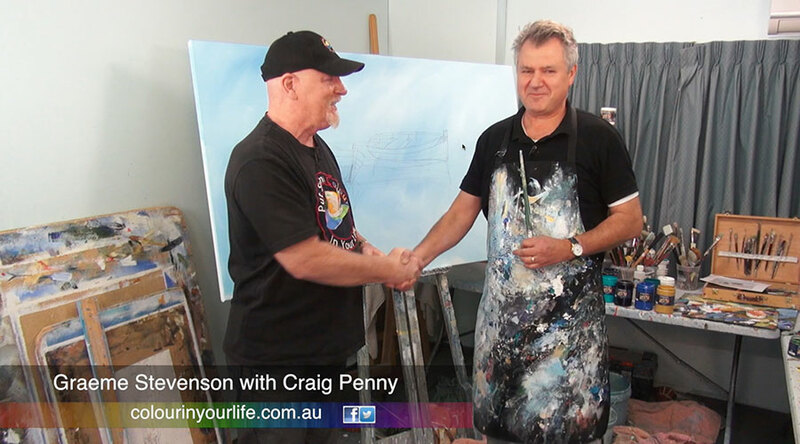 Born in Mildura, Craig Penny has shown an interest in art and drawing from a very young age and has created a successful career as a professional artist. In 1970, the family moved to the Western District of Victoria and Craig’s love of art and artistic interests extended into ceramics and sculpture. Craig Penny has constructed several wood fired kilns for this purpose. You could say “it fired his imagination”. Studying art at Ballarat University, painting and graphic design claimed most of his attention allowing him to pursued a successful career in illustrator as a member of the Illustrators Association of Australia for many years. Craig has skills in a range of mediums including computer graphics. He taught both traditional drawing, illustration and digital drawing at both Victoria University and Swinburne University. Craig Penny never lost his love of using traditional methods and now specializes in watercolour, acrylic painting and illustration. “I like to think that to paint a successful painting is not so much to have tamed the beast, rather to have been taken along for the ride and still be there at the end of the experience. your way. You don’t need to tame and control it for magic to happen..